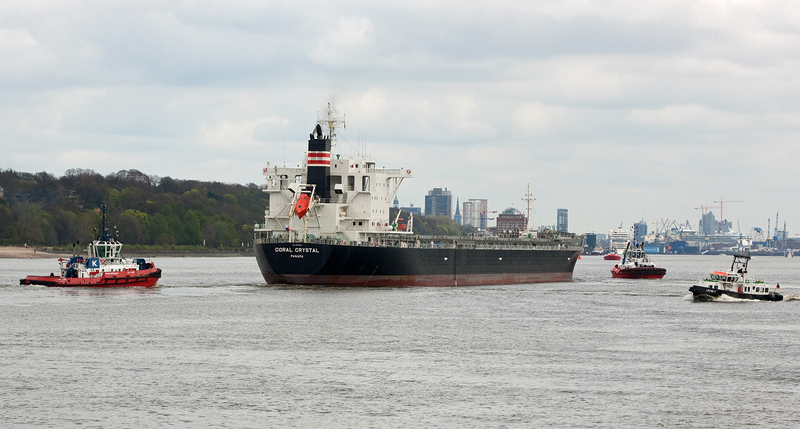 „Coral Crystal“ seen inbound Hamburg with the help of Harbour Pilots and three Kotug Tug Boats 27th April 2013. The ship was built in 2012 by Shin Kurushima Toyohashi Shipbuilding – Japan. 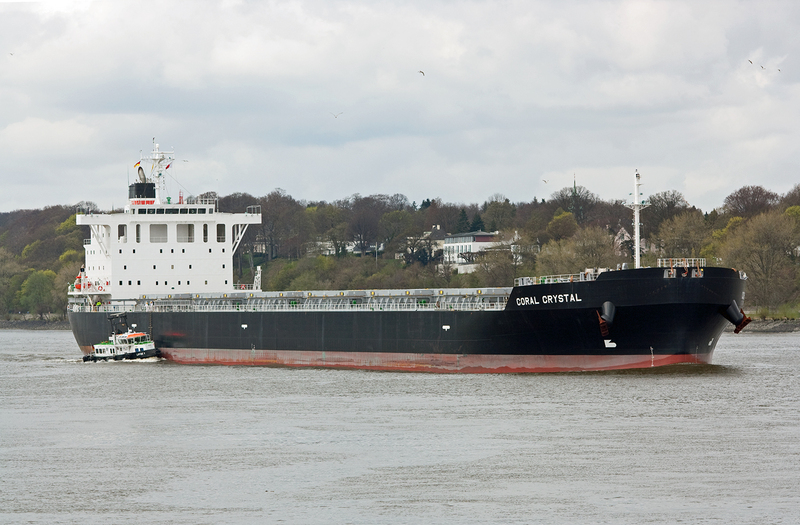 The Bulk Carrier is 221meters long and 32meters wide. 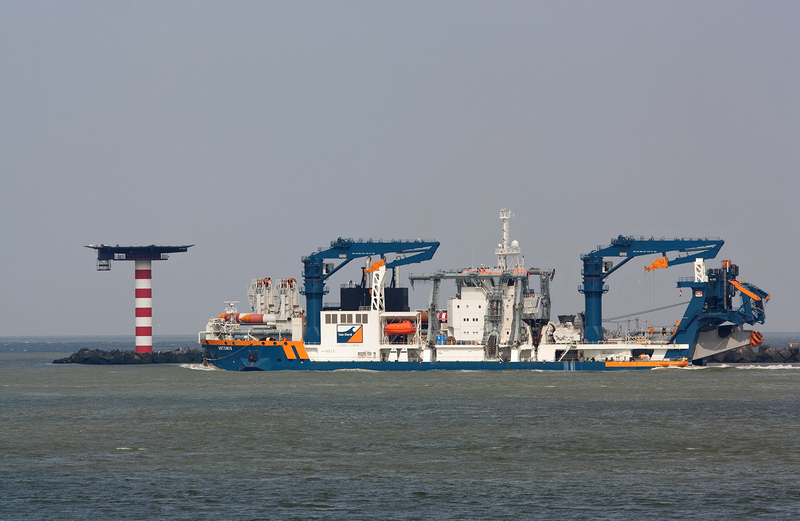 The 2013 built large self-propelled cutter suction dredger „Artemis“ seen outbound Rotterdam for some test. She came from the yard IHC Dredgers B.V, Netherland. The ship is 132meters long and 28meters wide. The photo was taken on 29th March 2013. The Reefer „Nagato Reefer“ seen outbound Rotterdam on 28th March 2013. 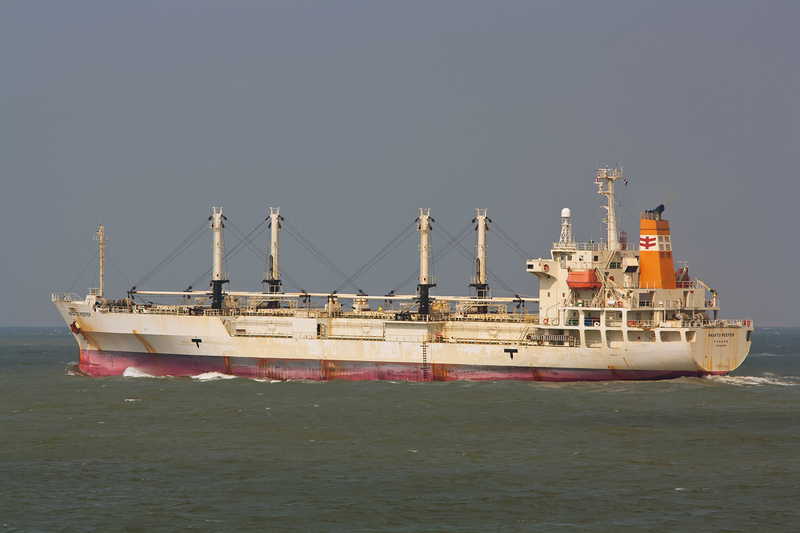 The ship was built in 2000 by Kyokuyo Shipyard Corporation, Japan. She is 135meters long and 20meters wide. 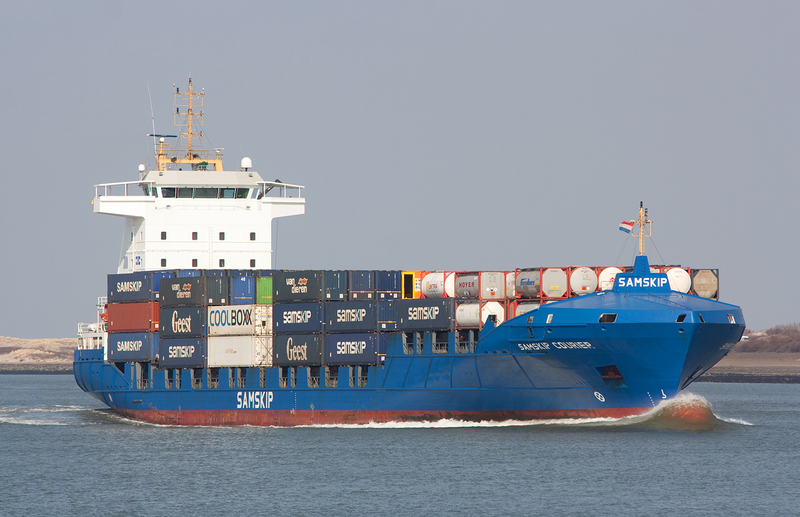 The Containerfeeder „Samskip Courier“ seen inbound Rotterdam on the Nieuwe Waterweg 28th March 2013. 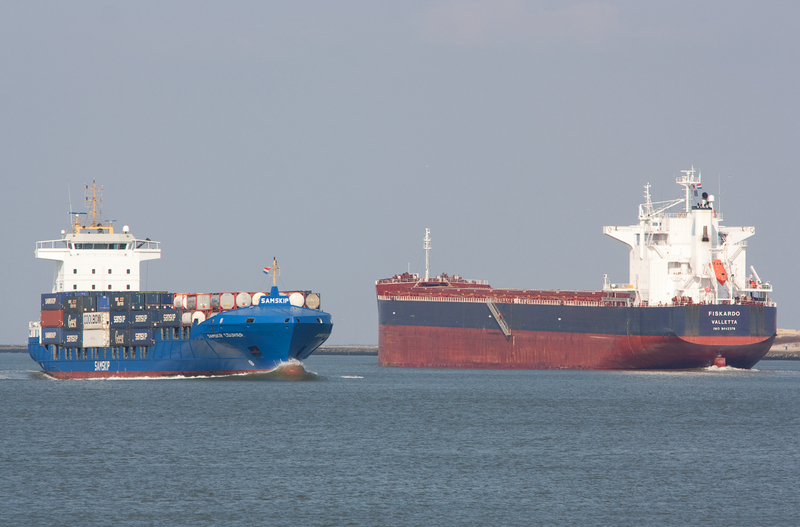 In the first picture the ship is passing the Bulkcarrier „Fiskardo.“ The ship is 140meters long, 22meters wide and can carrier maximal 803 Twenty Feet Containers. 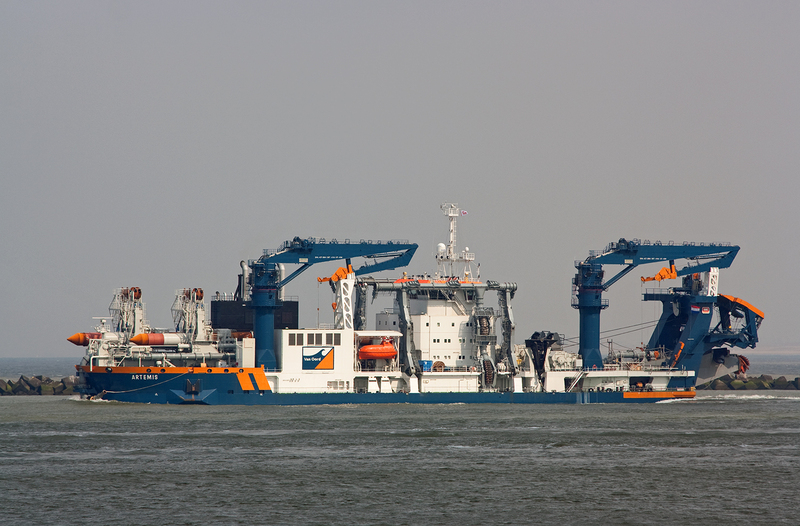 The vessel was built in 2006 by B.V. Scheepswerf Damen Hoogezand – Foxhol. „Minerva Nounou“ seen in Calandkanaal Rotterdam 28th March 2013. 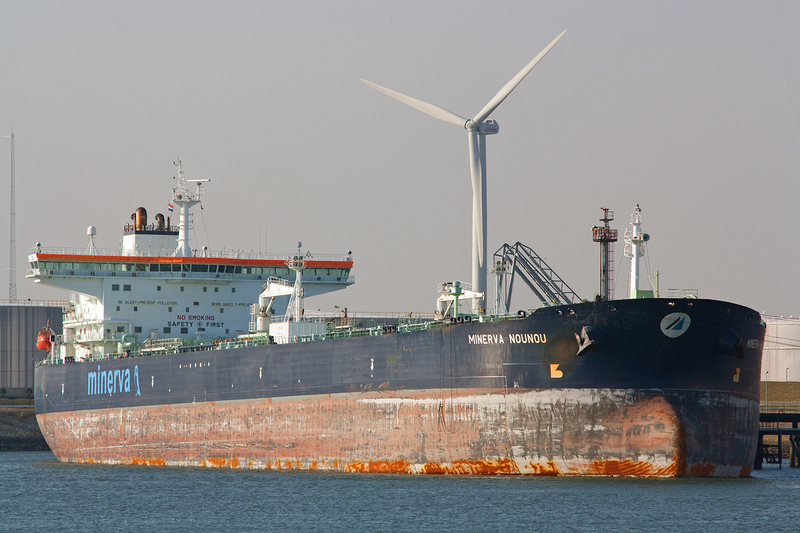 The Tanker is 253meters long and 44meters wide. 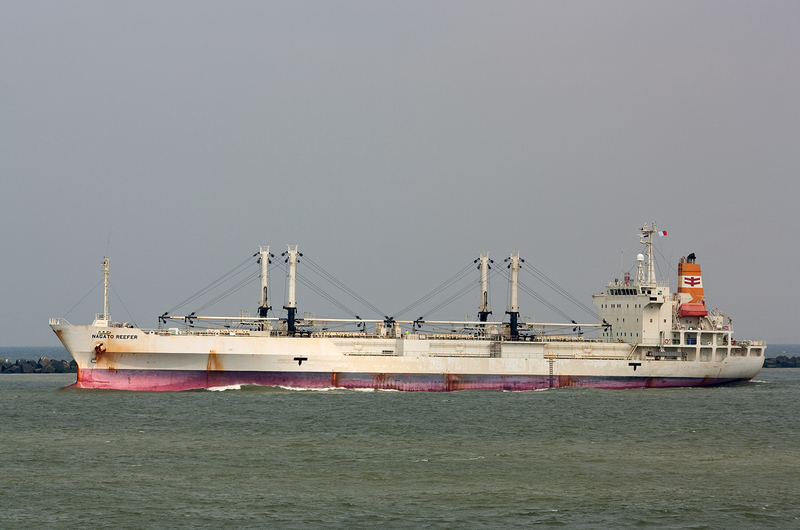 She was built in 2006 by Daewoo Shipbuilding & Marine Engineering Goeje, South Korea.